A Kenyan side dish consisting mainly of potatoes and green vegetables, irio is usually served with steak and gravy. To me, it looked like a fun, healthy alternative to regular mashed potatoes. Which can get a little tired, even for a pale, freckle-prone Irish girl. Originally a dish of the Kikuyu people, irio is a hearty and nutritious accompaniment to meals that has become popular throughout Kenya. It has many variations, but potatoes and peas are the staple ingredients with corn the most common addition. Irio is famously paired with grilled steak in the combination known as nyama na irio. In Kenya, dried green peas are often used for this dish and need to be soaked in water and then cooked separately from the potatoes. Add a little butter to the final puree for a little more flavor if you like. Stir some lima beans or sautéed greens into the puree for added flavor, texture and color. It’s a simple, tasty, cheap way to bring some culture to your table. And again, that’s never a bad thing. Place the peas and potatoes in a large saucepan and add water to cover. Stir in the salt and place over medium flame. Bring to a boil, then reduce heat and simmer until potatoes are cooked through. Drain, reserving the liquid. Simmer the corn with a little salted water in a separate saucepan for a few minutes while the potatoes and peas are cooking. 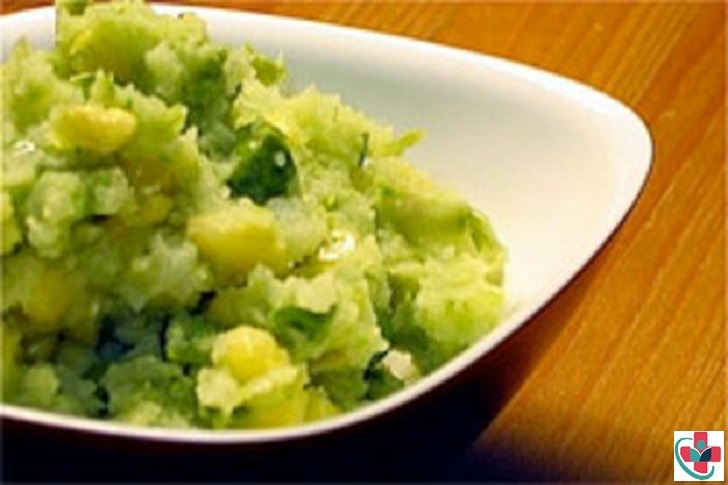 Mash the potatoes and peas together with a potato masher or put through a ricer to form a pale green puree. Stir in the corn with a little of the reserved liquid and season to taste with salt and pepper.